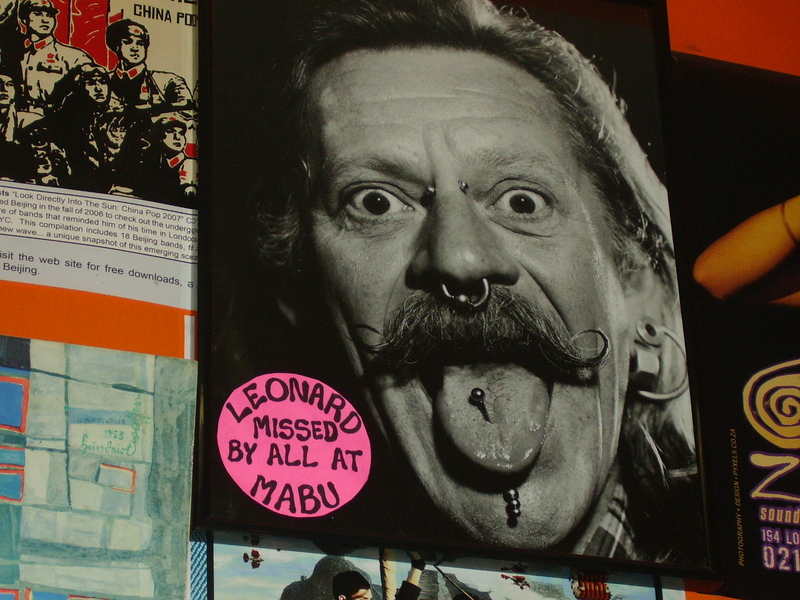 Once a year we at Mabu Vinyl, along with many people around Cape Town, stop and remember our friend and colleague, Leonard Wichtman, the unforgettable Cape Town legend with all the piercings who passed away two years ago. For many years, Leonard ran Bruce Tait’s Kitsch Collectables, the crazy shop at the bottom of Kloof Street (top of Long Street?) which was next door to Mabu Vinyl’s previous shop down on the corner of Kloof. With a wide variety of earrings stuck in his torso in every conceivable place from head to toe (and one he was particularly proud of about half-way inbetween), Leonard would always be happy to show anyone them all if they asked, or sometimes even if they didn’t. Leonard was a charitable angel with a heart of gold who organised parties and collected presents and clothes for young disadvantaged kids in the city. He was also sometimes a contender for the title of the least polite shop assistant in Cape Town being known to eject anyone he thought was wasting his time, or for other obscure reasons best known to himself. Leonard was a cheerful guy, always ready to share one of his outrageously racist jokes with anyone in earshot. He was an artist a ballerina, an actor, and one of the most intriguing and unforgettable characters in the city’s history. And we still remember him fondly! We recently bought a ton of 7″ singles and have beefed up our 7″ singles corner in Mabu Vinyl. I was at the Design Indaba in Cape Town last week and took the opportunity to visit some of the local vinyl dealers while I had the chance and what a jol that turned out to be. I visited Revolution Records in Observatory, very nice vibe, good selection of records including new pressings from the UK. Saw some limited edition pressings of Nick Drake there, a japanese pressing of Yellow Submarine, some Sheffield Labs pressings and even a Nautilus Half Speed Master! Then went up into town to Mabu Vinyl. Great vibe, interested staff. Jam-packed though so you need to spend a bit of time to look through stuff properly. Picked up a copy of the Guy Buttery limited edition vinyl release, mine is No. 118/300. This is a great record and highly recommended, very chuffed with this one! 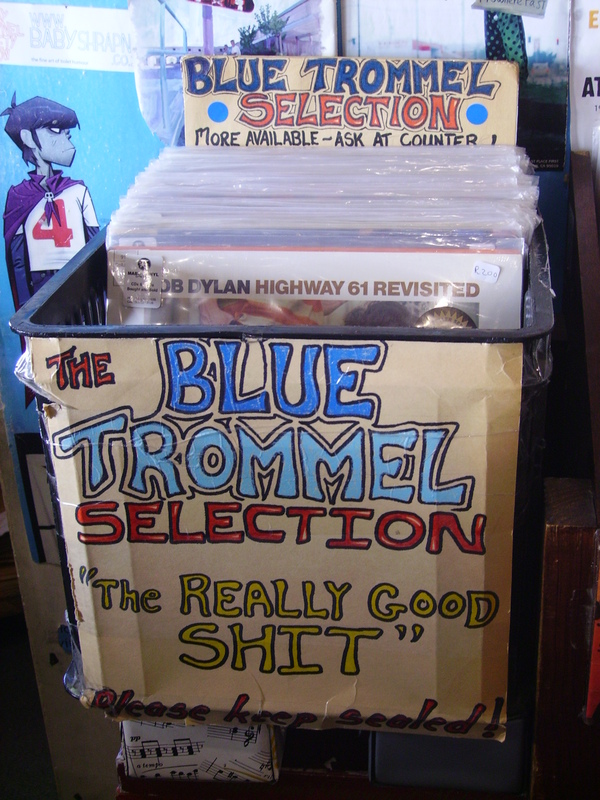 Then I spotted ‘Die Blou Trommel”… This is a selection of really great records in mint condition, set aside for the more serious okes. Above it was a little sign suggesting you ask if you would like to see more (see picture…). Turns out that Jacques and Stephen, who co-own Mabu, have an extensive ‘Blou Trommel’ selection in the basement of Stephen’s house in Oranjezicht, up the road from the shop. 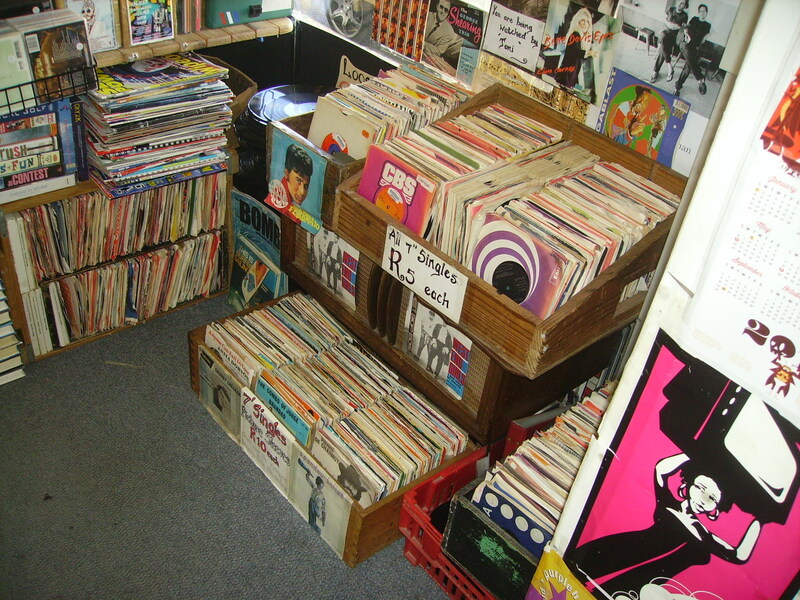 One can phone and arrange to go and spend some time looking through what I thought was the most astonishing collection of mint used vinyl I have ever seen – all stored quite aptly in blou trommels. 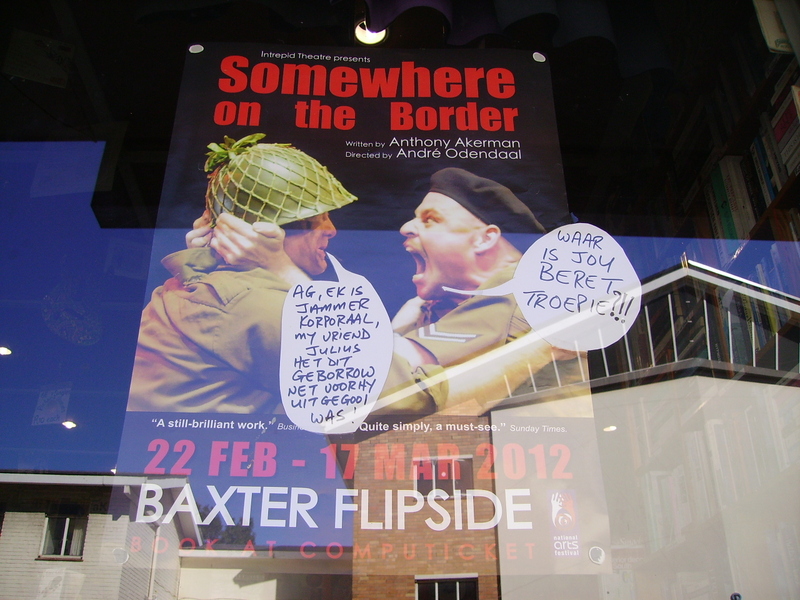 I saw some things there that I have only ever read about, let alone seen! Make no mistake, it is not the cheapest vinyl you’ll find, but if you are seriously collecting and you’re looking for those special hard to find mint copies to finish your collection, definitely give these guys a call. Then again, bearing in mind what new locally pressed CD’s cost these days it really is not bad at all. I was kind of pissed off with myself for not finding this place first and having spent some of my budget already, but still picked up some nice jazz and blues records here. Guys that know their stuff and nice guys to deal with. Highly recommended and well worth a visit. For contact details you can Google both these shops. Mabu has it’s own website, Revolution’s wouldn’t come up but the search results will get you their contact details. 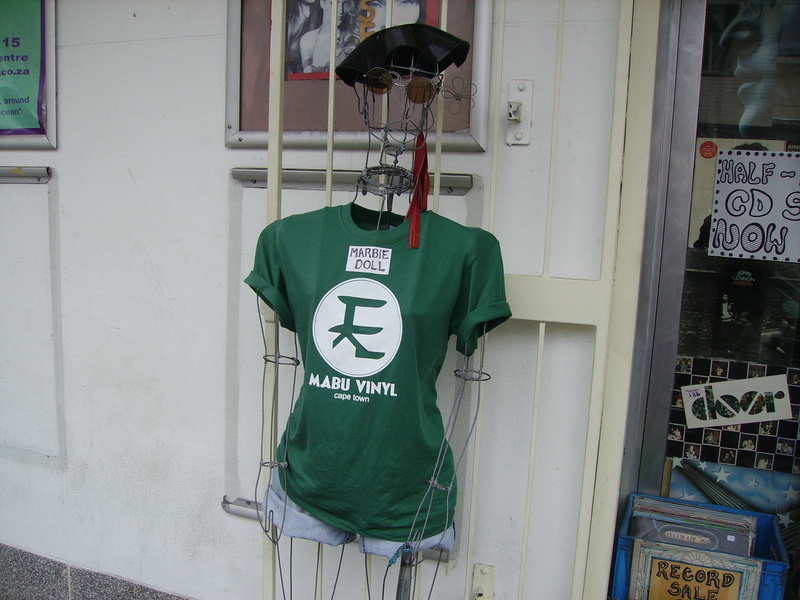 Our new Mabu Vinyl mascot….